prematurely and due to their tiny size, died shortly after birth. decline in health, although physically she was fine. tigress to fall into a depression. cubs, perhaps she would improve. 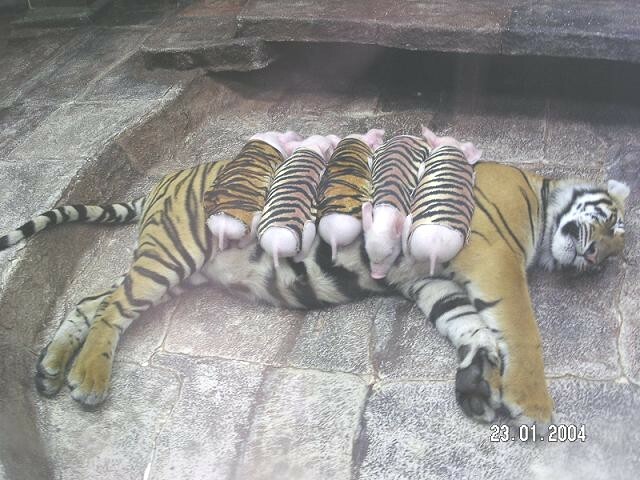 babies around the mother tiger. Would they become cubs or pork chops??? Now, take a look ........ you won't believe your eyes!!! !